Update: 9th May Thanks again to rolfe016 for this other image. 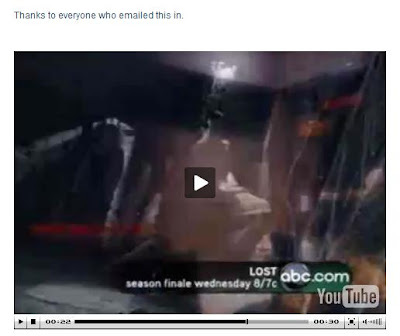 Update: Thanks to rolfe016, Harrison and others for finding this single frame screencap in the promo. It looks like it could be the other side of the wall where Richard is hammering. Thanks as always to The Strog for the video. This entry was posted in Uncategorized and tagged The Incident, Trailers, Video on December 27, 2018 by admin. Episode 5X16/17 – Bts Sneak Peek Clip!! Update: 9th May Thanks to Amy here is the video on YouTube for those unable to access the videos below. LOST LaFleur for the updated clip. This is a behind the scenes sneak peek clip that continues the scene with Jack, Sayid, Richard and Eloise with the Jughead under Othersville and we get the confirmation that Eloise is pregnant!! Thanks to Linton and everyone else for the heads up. Sayid: He left detailed instructions on how to remove the petroleum core and how to detonate it. Jack: Dan told me that we needed to wipe out some pocket of energy, will that part of the bomb be enough to do that? 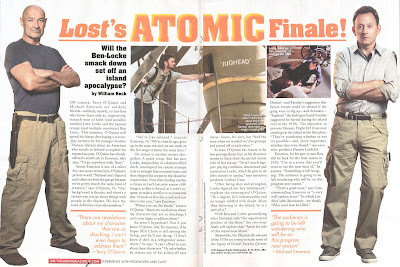 Sayid: The core itseld is a thermonuclear weapon, it’ll be more than enough. Sayid walks over to some military crates to get some tools. Richard: Hold on!! Hey…hey hey…hey…listen we sealed that thing up 20 years ago and put it underground because it was emitting radiation and now you are going to open it up!? Richard: Long term damage…. (turns to Eloise)….does this sound good to you Eloise? You are pregnant…!! Eloise: Which is exactly WHY I have to help them see this through. Jack: How far along are you? Eloise: Far enough…(she looks at Sayid who is getting the tools) once the core is removed then what! ?